Photo and GPS coordinates courtesy of George Strader. 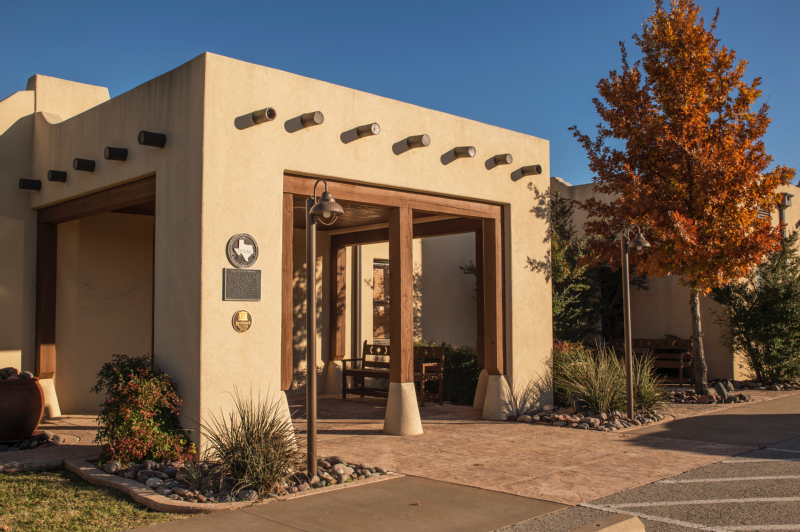 Known as "Little Adobe" this pueblo revival building was constructed in 1928 to serve as the air terminal for Kell Field, the first municipal airport of Wichita Falls. In 1941 it was incorporated into Sheppard Field, a World War II Army Air Corps training center. 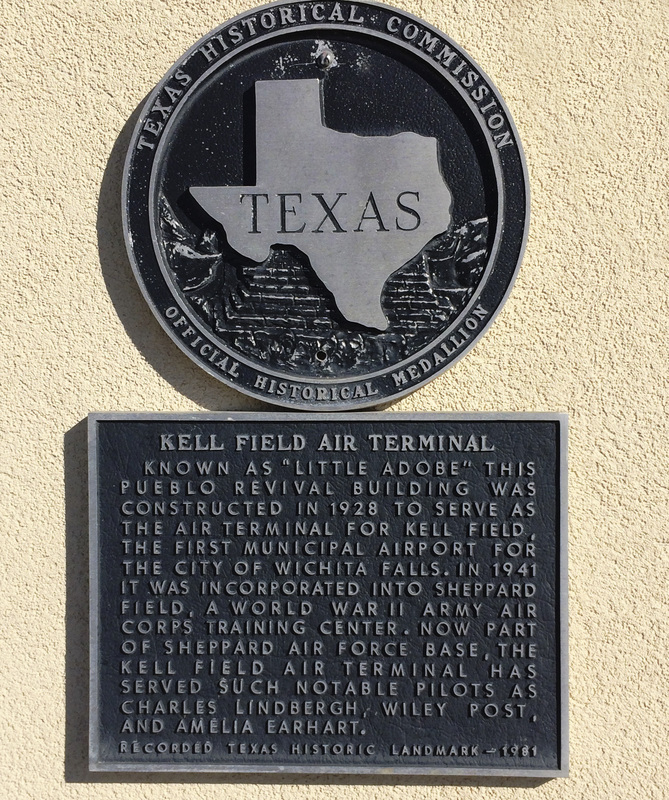 Now part of Sheppard Air Force Base, the Kell Field Air Terminal has served such notable pilots as Charles Lindbergh, Wiley Post, and Amelia Earhart. Located on base, please phone (940)676-2787 for an appointment. GPS 33-degrees, 59' 7" N -98-degrees 30' 54" W.